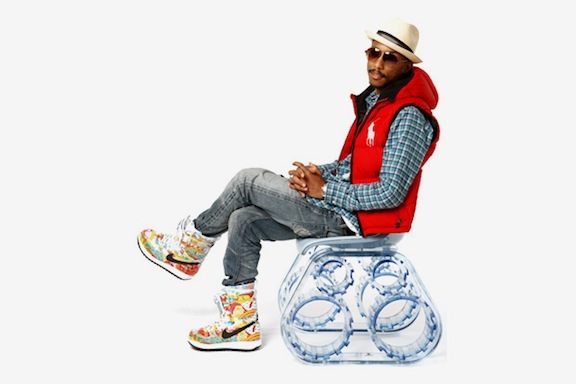 If you haven’t heard by now, Pharrell has been working on some furniture pieces for quite some time now. 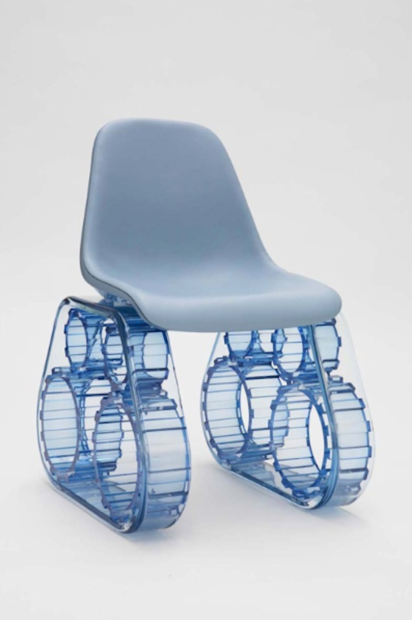 Earlier this week one of Pharrell’s pieces the “Tank Chair,” made its debut at the Collette store in Paris on Monday. The Tank Chair will be available for viewing at the Collette store until March 28th. After that, it will be moved to the Galerie Emmanuel Perrotin art gallery and will remain there from March 30th to April 24th. 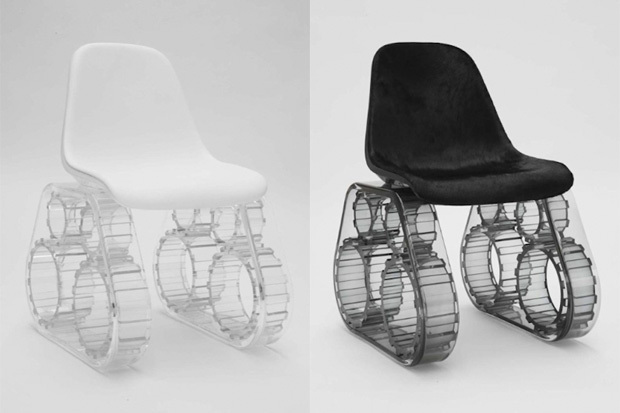 The Tank Chair is made from plexiglass and leather and comes in black, pink, white and blue. Previous post: Is That A Rolls-Royce In Your Living Room?